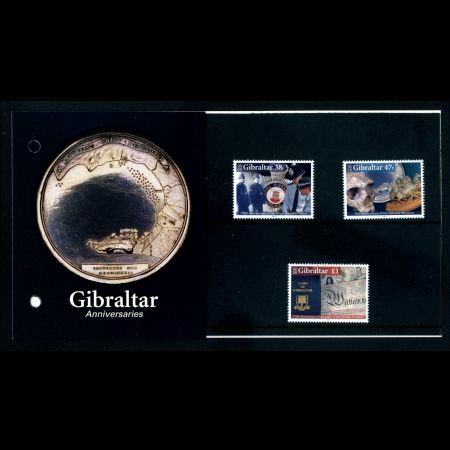 47p Objects from the Gibraltar Museum. 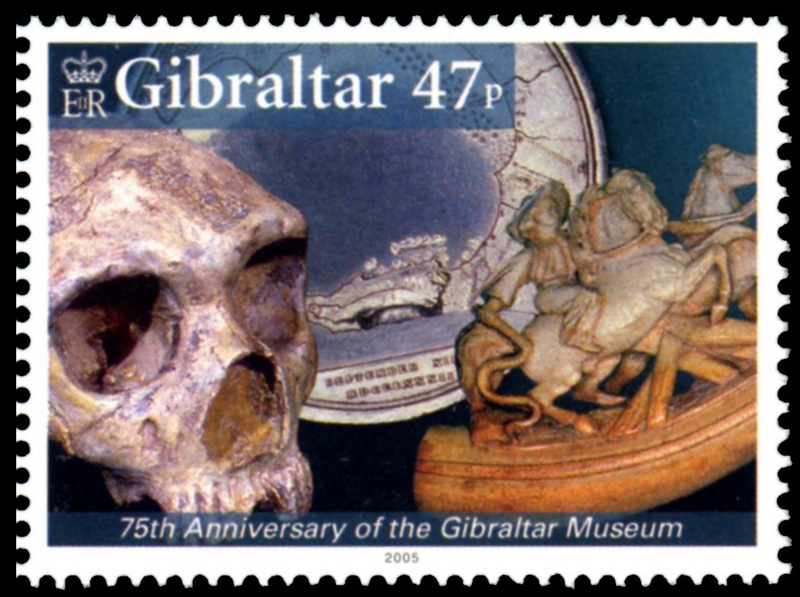 Neanderthal skull at left. 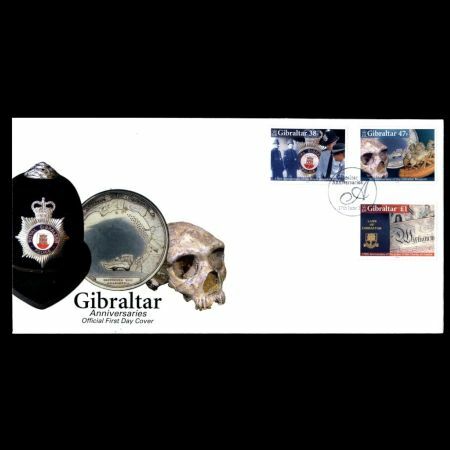 The Gibraltar Police Force, the forerunner of the Royal Gibraltar Police, was created on 25th June 1830, one year after the creation of the Metropolitan Police in London. 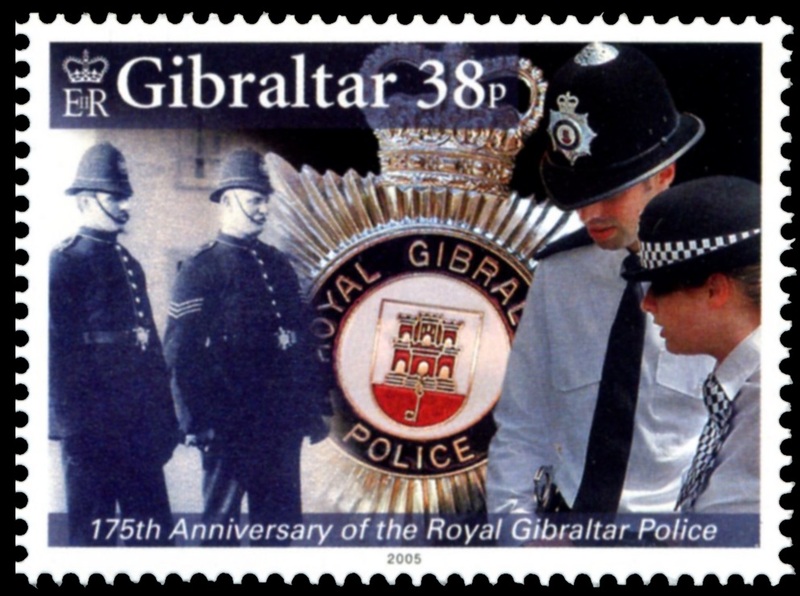 It is the oldest British Commonwealth police force. 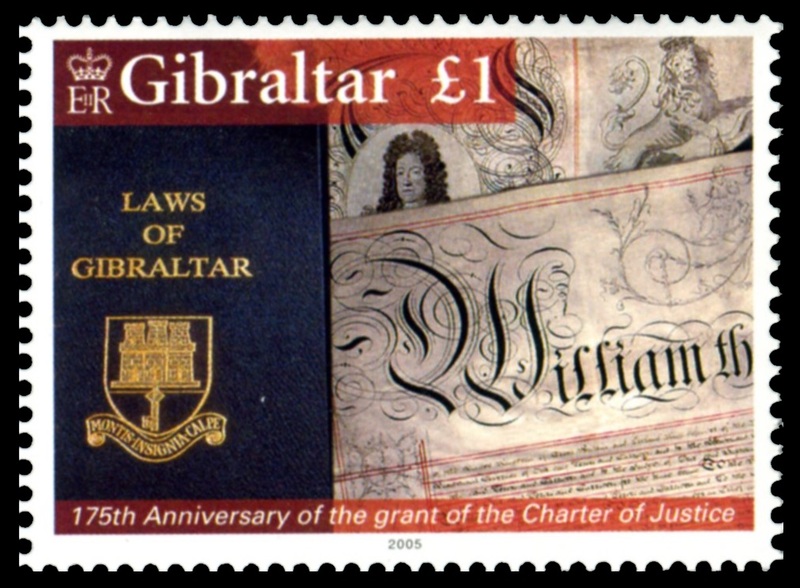 The 1830 Charter of Justice for Gibraltar created the Supreme Court of Gibraltar as a superior court of record, with civil and criminal jurisdiction, and established the position of Chief Justice for Gibraltar. 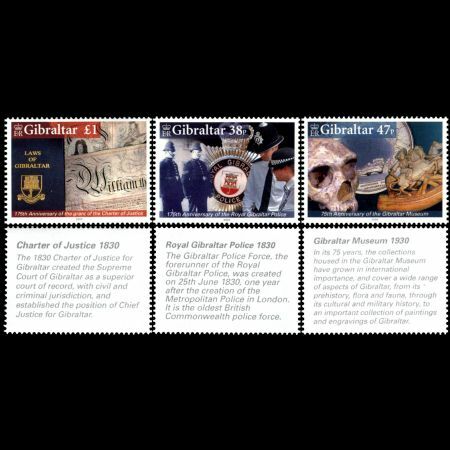 In its 75 years, the collections housed in the Gibraltar Museum have grown in international importance, and cover a wide range of aspects of Gibraltar, from its prehistory, flora and fauna, through its cultural and military history, to an important collection of paintings and engravings of Gibraltar.